For me, the buzz around Wonderspaces started with one picture some friends on a date posted on Instagram. In it, they were in a room with a giant floating spiked balloon. And for whatever reason, I just assumed they were in LA. That's where all the cool artsy stuff happens, right? But within 24 hours of that photo showing up on my feed, the buzz grew steadily. My friends Makena and Liz both texted me separately asking if I'd heard of Wonderspaces. My coworkers were sharing snaps from their own visits in the kitchen at work. And more and more photos began to pop up on my Instagram, Snapchat and Facebook. By the end of the next day, I was almost paralyzed with FOMO. 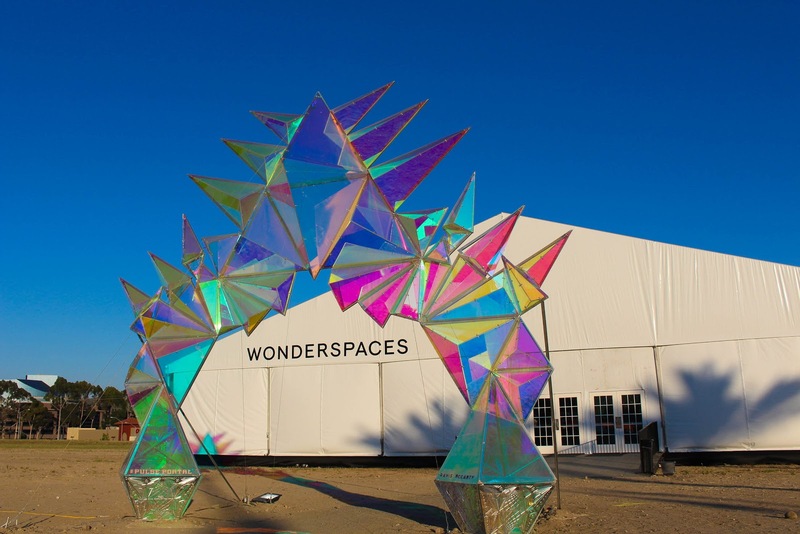 Wonderspaces, a traveling pop-up art exhibit that's here through July 30th, is the coolest thing to happen to San Diego in a loooong time. As they share on their website, "you can think of Wonderspaces as a pop-up museum of extraordinary experiences. Those experiences range from room-sized interactive art installations to virtual reality films and include art enjoyed at the world’s biggest festivals and fairs." My introduction to mala beads came shortly after I started this blog in 2013. In fact, I was introduced because of this blog: my first mala necklace was gifted to me by a company that had seen my blog and felt that my voice connected with people who would enjoy their products. I hadn't heard of mala beads at the time, but I cherished that necklace and still wear it to this day. For those who don't know, mala bead necklaces or meditation necklaces consist of 108 beads and a bindu or guru stone. The idea is to speak or think your intention or mantra as you touch each bead, ending with the bindu, on which you will give thanks to your teachers, whoever or whatever they may be. 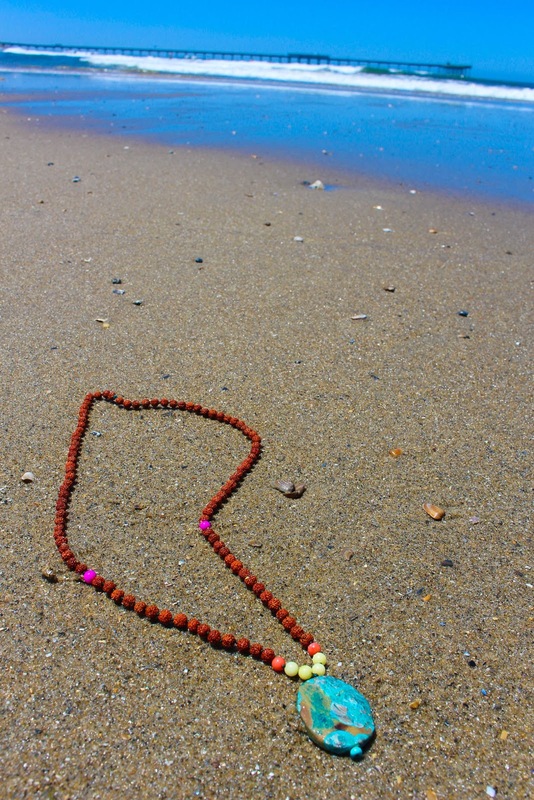 If you're just starting out with meditation, I've found that a mala necklace can be a helpful tool to use for focus. And unlike prayer beads in other faiths, you can and should wear your mala beads as a reminder of your intention throughout the day! Recently, I attended a local gem show with my friend Makena and purchased enough supplies to start making my own mala designs. For my very first mala, I was inspired by the view I am lucky enough to see from my house each night: a brightly colored sun setting into the ocean. And as it turns out? Making your own mala necklace is just as relaxing as the meditation practice it's used for.